#SampleRoomTips: Protect your skin from the sun! In a country where some parts of the year are bombarded with torrential rains and the rest is a scorching nightmare, it pays to protect your skin from the harsh environmental factors including the harmful rays of the sun. Exposure to UV rays can cause premature skin aging and in worst cases, skin cancer. We may never avoid going out in the sun (unless you plan to hole yourself in your house for the rest of your life) but it pays that we amp up our first line of defense against UV rays. 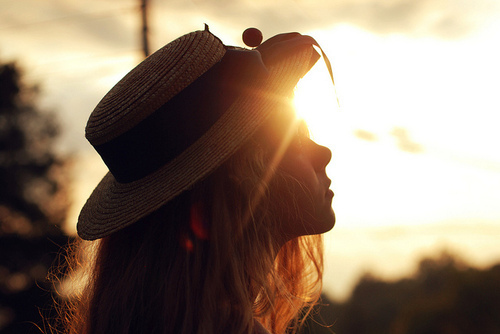 Read more on these #SampleRoomTips to gear your sun protection anew: Photo Credits 1. Utilize your umbrellas. Yes, dear roommates. Umbrellas are not just for the rainy days. If you can, use your umbrella when going out, especially when the sun is at its peak as the UV rays can instantly penetrate into your skin. Photo Credits 2. Hats up! If you're not an umbrella person, or you don't want to carry one in your purse, sport yourself a cute hat to boot. It's an upgrade to your look and your head will thank you for protecting it from the sun. Photo Credit 3. Shades, shades, shades This fashion accessory serves as your eyes' protection from the harmful UV rays so don't scrimp on it! Use something that's comfortable for you to use and gives your eyes the shield it needs. Different brands also offer shades specifically made for sun protection, so check those out as well. 4. Use products infused with SPF religiously For starters, there are two harmful UV rays that reach our skin from the sun, the UVA and UVB rays. UVA rays penetrate deep into the thickest layer of the skin and can cause premature aging. UVB rays, on the other hand, burn the skin and can cause permanent damage and skin cancer over time. For easier reference, UVA = Aging, UVB = Burning. Sun Protection Factor or SPF is used to determine the ability of to deflect UV rays so make sure you use products that have SPF, every day. Not just on your body but also to your face and lips. 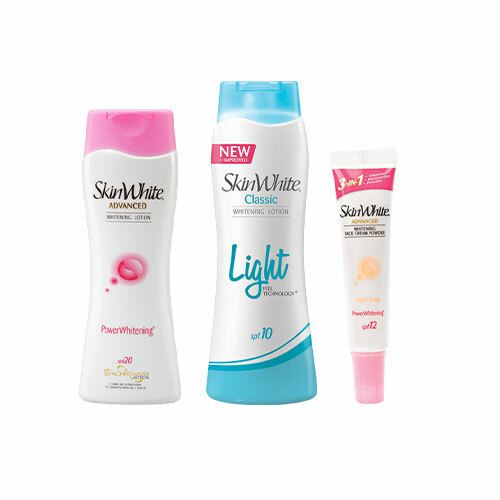 Check out the latest offering in Sample Room from SkinWhite, the SkinWhite Advanced PowerWhitening with SPF20, SkinWhite Classic with Light-Feel Technology with SPF10 and the SkinWhite Advanced Whitening Face Powder with SPF12 for the face. Not only does these protects the skin from the sun but lightens and also evens your skin tone after the exposure. Go to our products page and try it now for free!